Lighting fixtures are probably one of the more underutilized design tool. 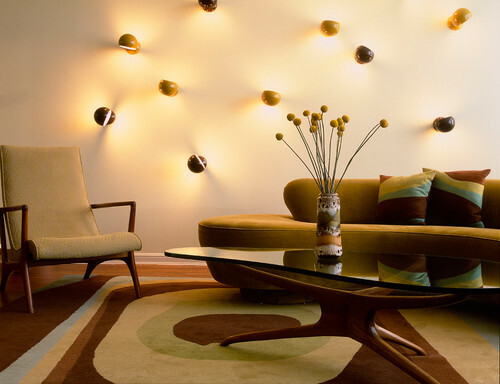 Modern lighting fixtures are a fun and interesting way to add personality into any room. They range from handmade glass orbs to simple small wall lights done in a whimsical pattern. And, the versatile nature of modern lighting means it can be a true investment piece for your space or an affordable way to update a room’s look. When it comes to choosing the right lighting fixtures for your modern Atlanta home design, sometimes less is more. A simple row of teardrop bulbs look lovely over this master bath’s soaking tub. This is a fun, modern twist on candlelight – making what’s old new again. 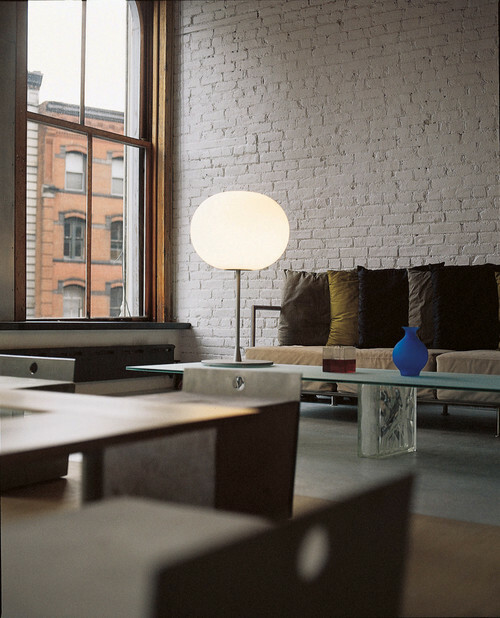 The oversized glo-ball table lamp has a dimmer that makes it perfect for creating mood lighting. 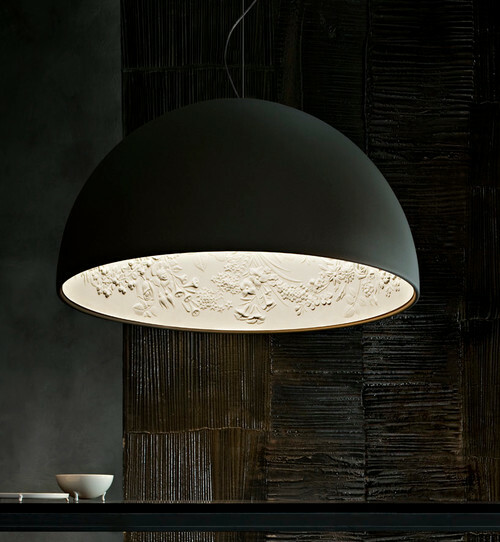 These lighting fixtures from Original TBC play up texture and create a clean, fresh effect. 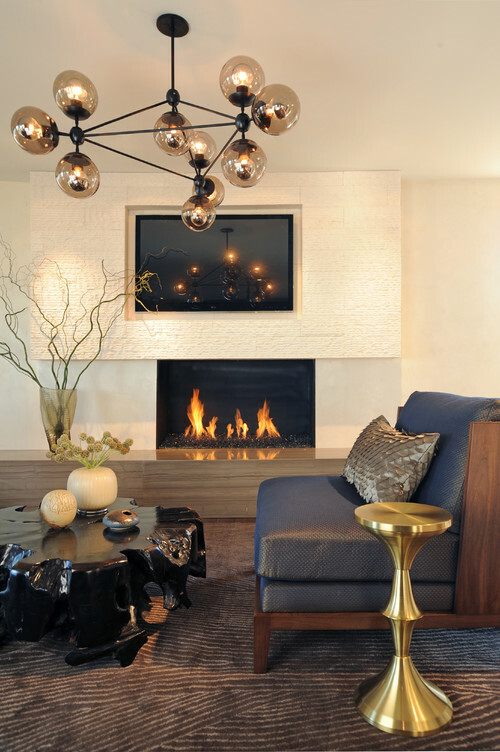 Geometric, angular lighting fixtures add the perfect amount of edge to a room’s style. Light In Art’s handmade, glass chandeliers are all one of a kind and each uniquely dazzling. A square cluster chandelier mixes white and amber lighting. 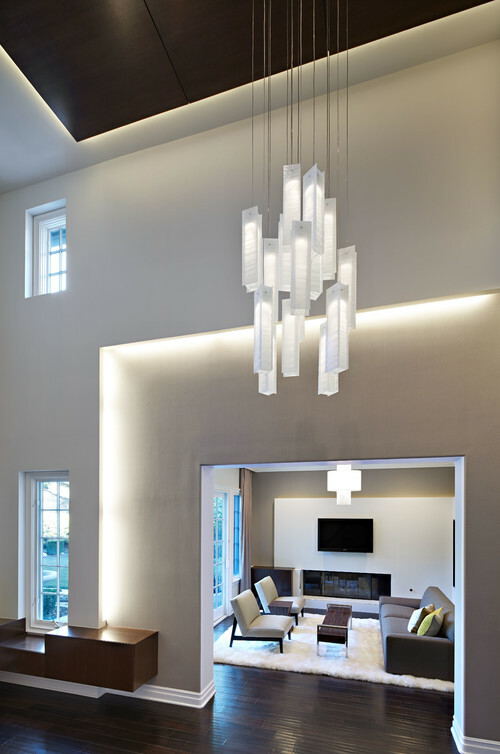 A more linear cluster chandelier emphasizes the high ceilings in this modern home. This minimalist, angular chandelier proves you don’t need opulence to be chic. By contrast, a chunky wood floor lamp looks equally at home in a retro living room as it would in a contemporary room. 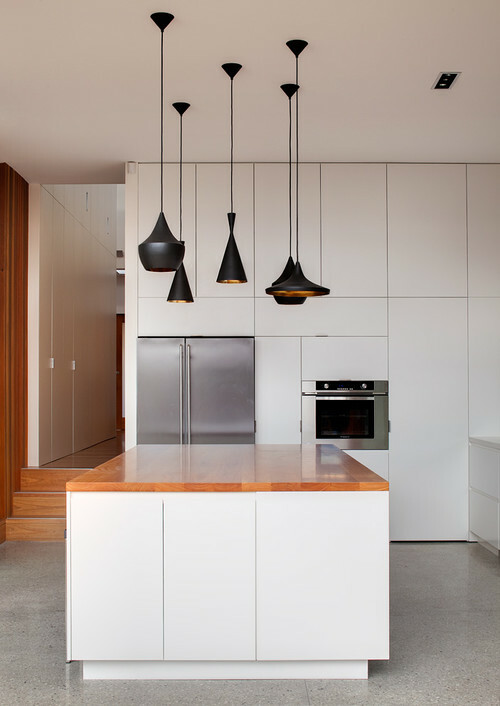 Mixing various shapes together adds a playful touch to this otherwise stark black and white kitchen. Modern light fixtures look stunning in softer, more organic shapes as well. This chandelier looks equally modern and industrial. It’s random angles create a sense of fun. 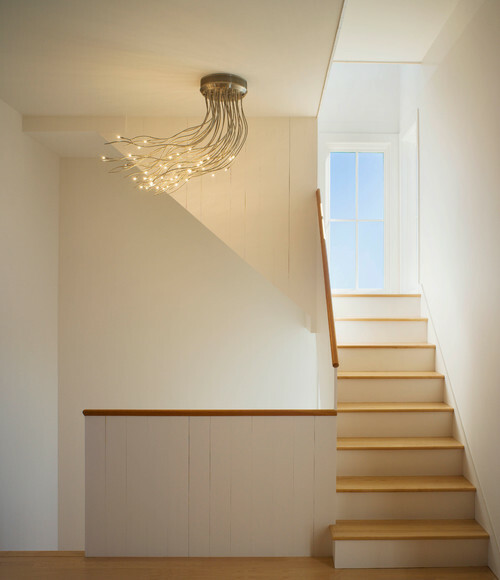 The Anemone ceiling light, with its eye-catching curves and shine, is modern glamour at its best. 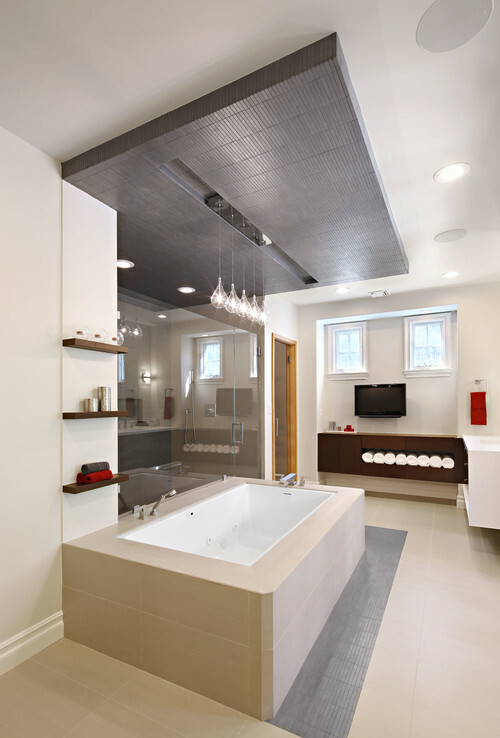 One of the best features of modern design is that it shows interior design doesn’t have to feel so serious. The sketch pendent is a great example of design that makes you smile. 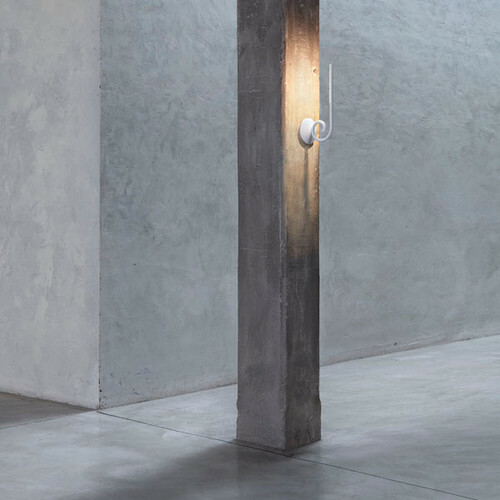 Speaking of smiling, modern lighting fixtures are a great way to add a whimsical and imaginative twist to your home. 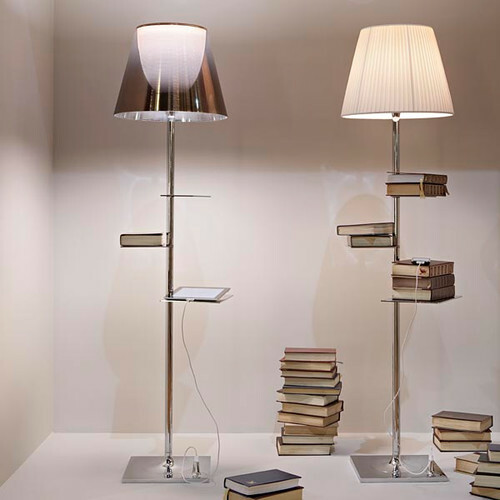 The aptly named Bibliotheque Nationale floor lamp turns a reading corner into its own mini-library. The Skygarden pendant turns expectations on their head. The beautiful floral relief is done on the interior of the shade. This modern ceiling light creates a dramatic sense of movement. Modern lighting fixtures don’t have to be elaborate. These simple wall lights create a playful effect. Bold, bright colors allow lighting fixtures to brighten up a space in more way than one. 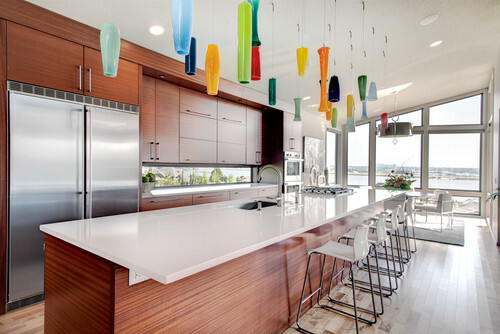 Choosing modern pendants in multiple colors makes these otherwise serious spaces feel fun. 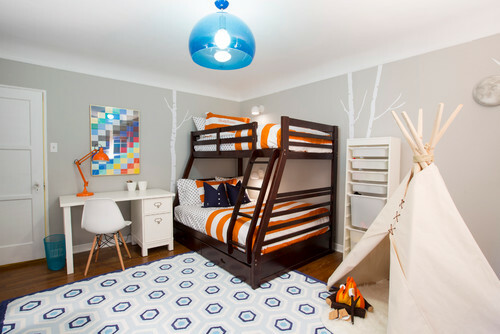 By contrast, a beautiful modern glass light fixture adds a definite sense of style to this child’s room while still keeping a youthful air. 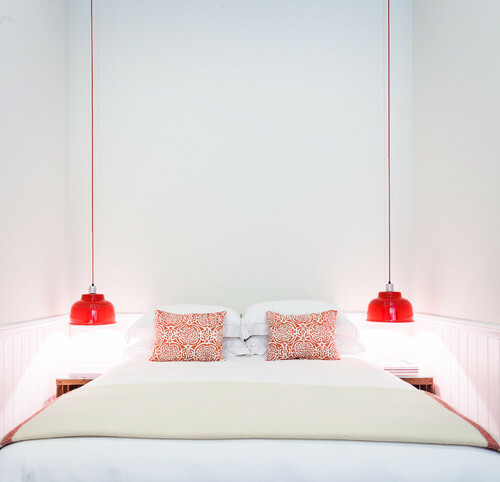 Bright red pendant lights in this bedroom double as art. Whether you’re looking for expert advice on the perfect finishing fixtures for your home or seeking a modern Atlanta design firm to provide turn key service, BoldForm Designs is the solution you need. Browse our portfolio to find even more modern design inspiration and contact us when you’re ready to start your next design project. Uncategorized colorful lighting fixtures, contemporary lighting, funky lighting, modern atlanta design, modern atlanta interior designer, modern chandelier, modern interior design atlanta, modern lighting, modern lighting fixtures, modern pendent light. permalink.